Well, what can I say? 2017 has been an absolute blast and I never thought that writing on my website and posting on social media would bring me the best foodie filled memories I could have wished for. I hope you’ve enjoyed reading over the last year and here are some my best bits from 2017! 1. I ate the Nutella doughnut of my dreams! About 2 years ago I saw a video on YouTube of THE most EPICALLY filled Nutella doughnut I’d ever seen and I swore one day I’d travel all the way to Australia to try it. I even messaged the company who sold them to ask if they were ever going to bring them to London! (A bit sad I know, but if you follow my blog you will know I’m a huge Nutella fiend. 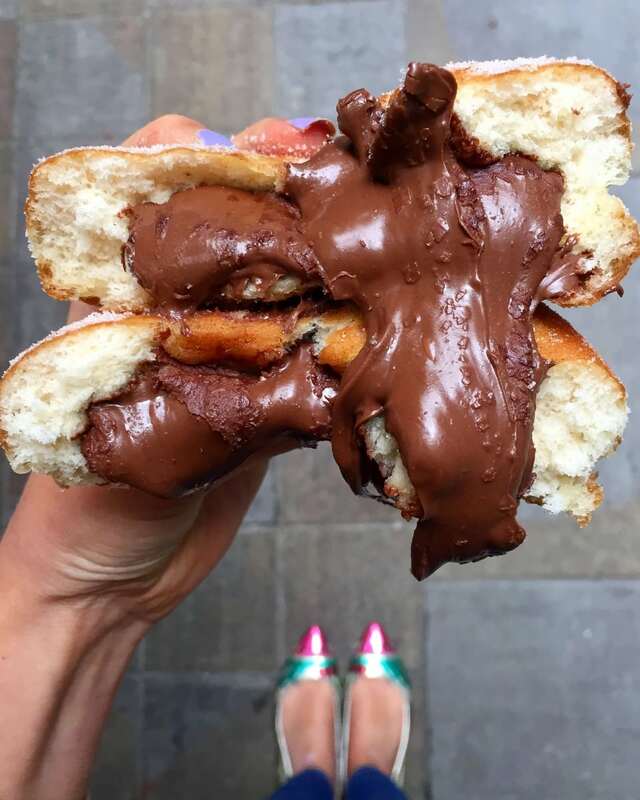 Especially if you’ve seen this) It was in 2017 that I learnt my Nutella dreams had come true and Doughnut Time were opening just around the corner for my work and I finally got to try their ‘Love at first bite’ doughnut. Never have I seen a doughnut filled so much as this one and it was just as epic as I’d hoped. Thanks, Doughnut Time! 2. I had my first Bleeker Burger. 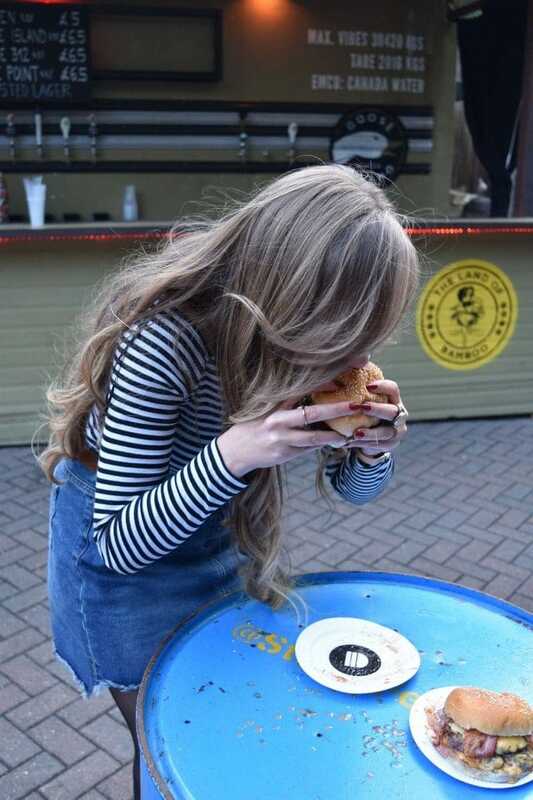 Bleeker has made a serious name for its self in London over the last few years for their NO fuss, NO frills burgers and I have NO idea why it’s taken me until 2017 to eat one!! I’ve had many a burger in London in my time so as a 29th birthday treat to myself, a few friends and I headed to Hawker House to lose my Bleeker virginity. Never have I had a burger as rich, as meaty and as simple as this one. This might sound disgusting but it’s so incredibly juicy it runs down your arm as you eat it. Oh, the joy! No wonder they’ve caused such a fuss in London and I’m sure I won’t be waiting as long for my next one. Where should I go for my 30th? 3. I met people from all over the world. I was sat at home on my laptop one night and up popped an email from a gentleman called Evan from Washington DC. He was soon travelling to London with his sister and asked did I have any recommendations for the best places to eat while they were here as they are huge foodies! This is the kinda stuff I live for so over the next few hours made a big list of all the places I love and sent it off. A few weeks later I got an email back thanking me for my recommendations with pictures of all the places I told them to visit and we’ve kept in touch ever since. 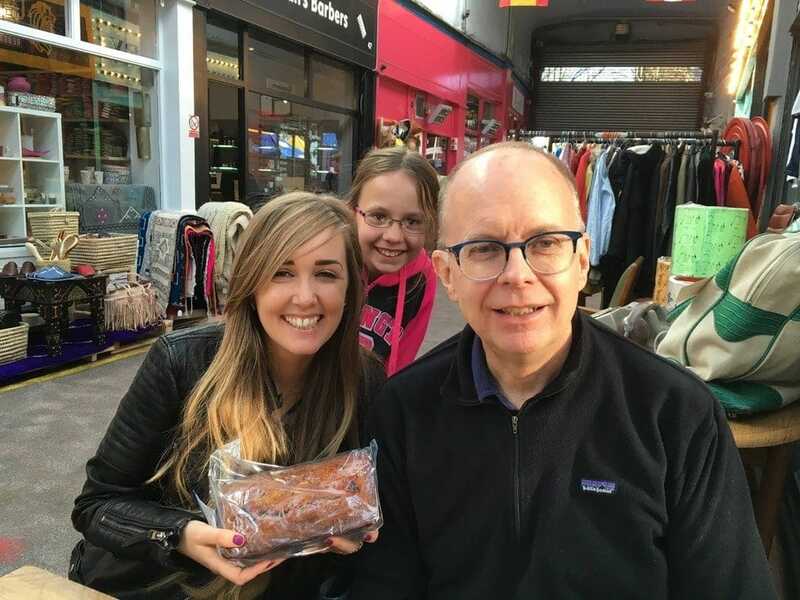 A few months later Evan, his wife Luda and his daughter Irina and I finally got a chance to meet face to face while they were travelling through London and he even kindly brought me some of his homemade banana bread all the way from the U.S. Since then we’ve met twice and speak regularly on email, swapping foodie stories and Evans delicious baklava recipe. If it wasn’t for my blog, Instagram or Facebook, I would never have met Evan and his wonderful family all the way from Washington. In fact, that goes for any of the local foodies in London that I’ve met for a brief coffee and slice of cake. I love meeting new people and hearing their stories, and if your reading this and I haven’t already met you, I hope to one day! 4. 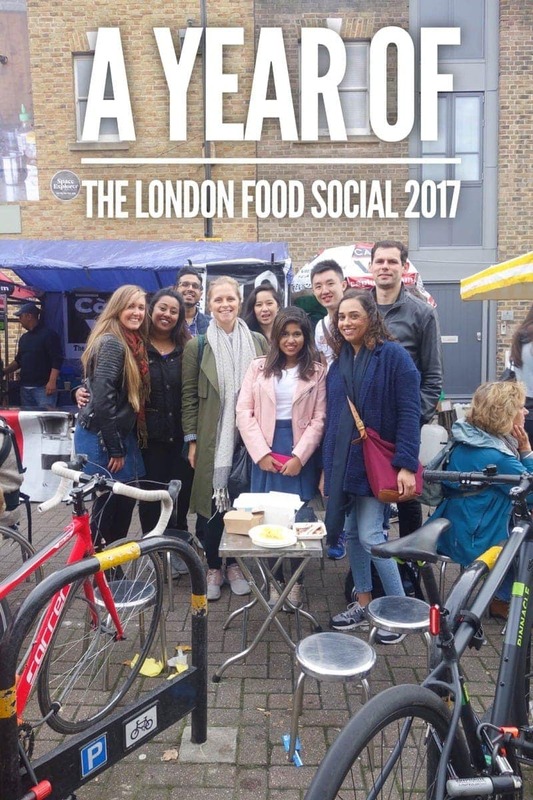 I started The London Food Social. Ever since I first started my blog back in 2015, I’d been thinking about starting some sort of ‘meet up’. I’m not from London originally and when I first moved here I found meeting new people quite daunting but saw how often I chatted with so many lovely people behind emails, Instagram accounts and Facebook comments. 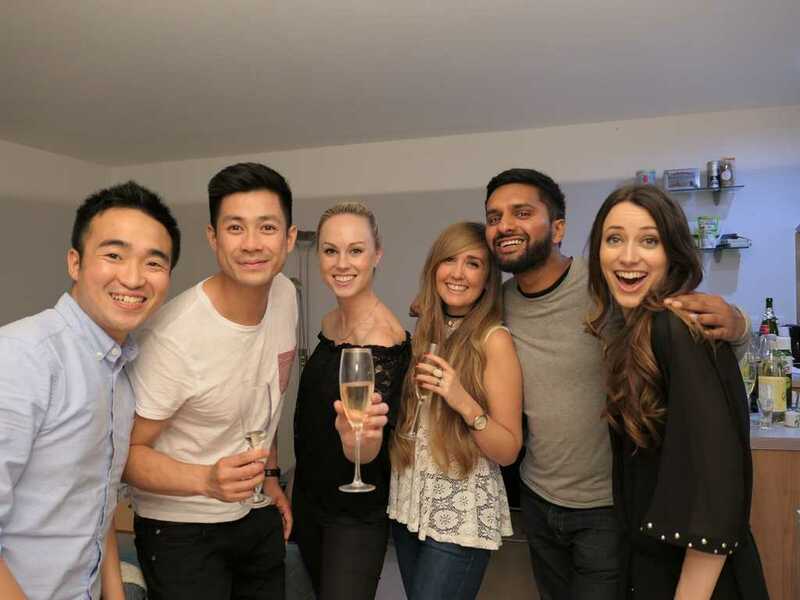 It was only this year that I finally got the guts to start The London Food Social – a monthly meet up of people who love food and want to meet others that do … and I am so glad I did! Since January, a different group of people have met at a different place each month and enjoyed a meal together. A huge thank you to everyone who’s came to one and showed an interest. Roll on 2018. More info on it here if you want to have a look. 5. 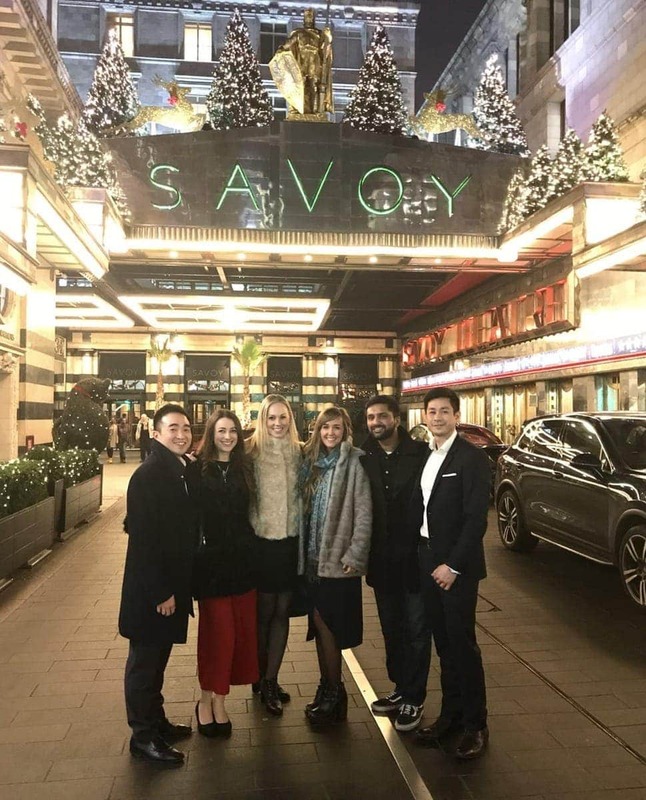 I finally ate at The Savoy. I can’t tell you how many years I’ve walked past The Savoy and imagined what it would be like the eat there. I work nearby and regularly pop in just to gawp at the decor and occasionally use the loo. This year I was lucky enough to eat there with a group of very good friends of mine as a treat to ourselves for Christmas and for sure it lived up to its expectations. The decor, the ceremony, the food. It really is a place you have to eat one day just to say you have. One tip would be if you don’t have the biggest budgets like us take advantage of the pre or post-theatre set menu. The same amazing experience but a bit less harsh on the wallet. 6. I ate my first ramen, had dim sum and got better at chopsticks! Asian food is not something that we ate in my house when I was growing up. Indian, Italian, Mexican yes. Chinese, Japanse, Thai, unfortunately, no. It’s only when I moved to London that I started eating it more and this year I’ve probably eaten more Asian food than I have combined in 29 years. 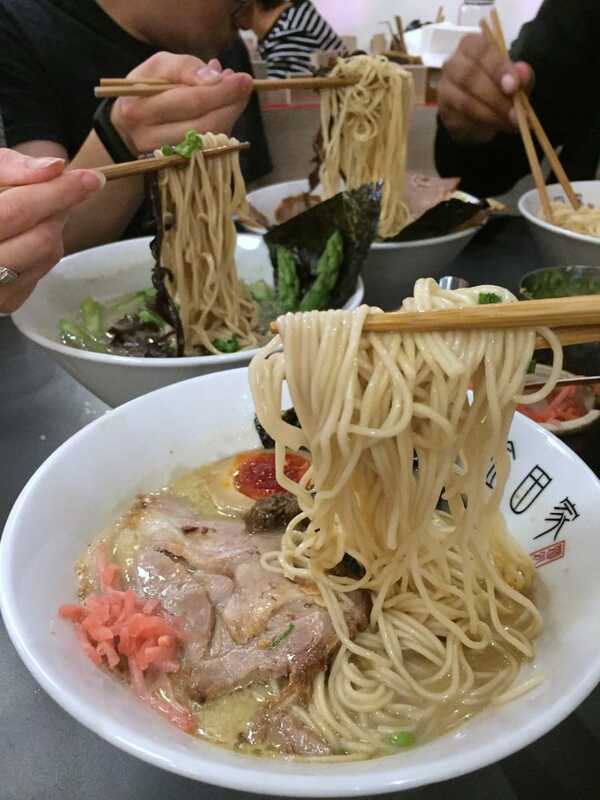 I got to have my very first bowl of ramen (delish! ), went for dim sum in Chinatown (an experience!) and my chopstick skills have seriously improved (just ask my friends.) Watch this space, I’ll be a pro by the end of 2018, just watch. 7. I got to do a Pastel de Nata class. One of the very first bucket lists I wrote on my blog was 10 places to eat Pastel de Nata in London. I have a serious love affair with those little custardy, caramelised Portuguese tarts and after eating my very first one a few years ago at Portuguese chicken restaurant Nandos I’ve been hooked. 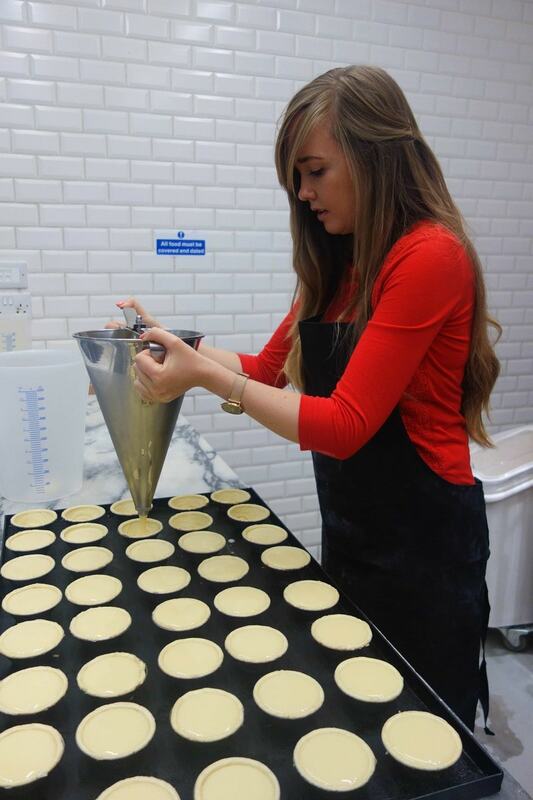 This year I was lucky enough to learn how to make some myself at Cafe de Nata in Hammersmith. (Full blog post here if you want to have a look) We got a chance learn the history, make some from scratch and the best bit was eating one we’d help make hot out of the oven. Six were packed with me to come home for my mum and dad but they didn’t last very long on the bus! Highly recommended. 8. I met the people behind the food. As you may know by now eating out is my thing. I love it. Everything about it. The best bit for me though is going to small independent places and meeting the people behind it all that have a serious love and passion for what they do. Fortunately, doing my blog has allowed me to meet some of these great people. 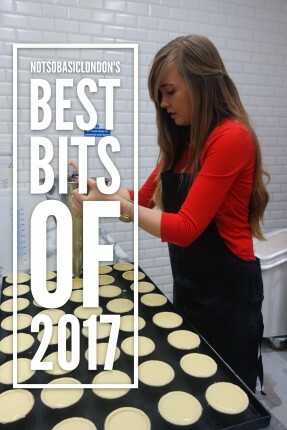 Eva from Crepes a la Carte saw a gap for authentic Bretagne galettes and makes them fresh by hand every day. 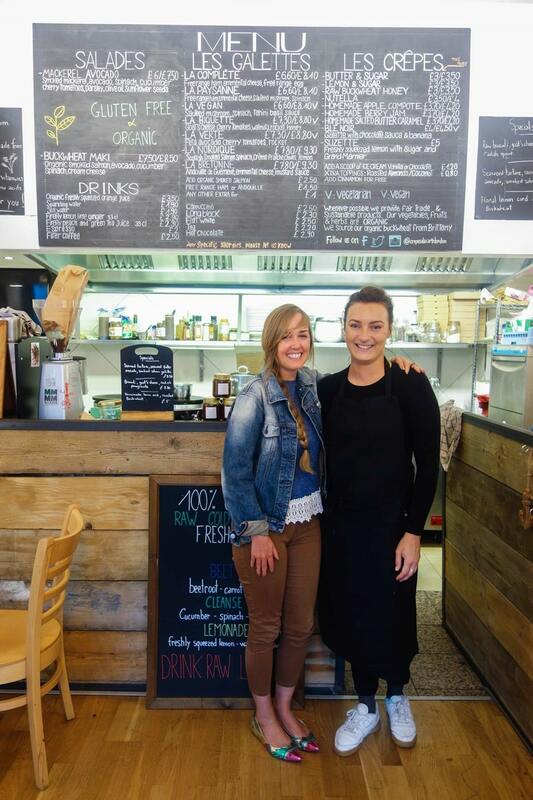 Australian born Daniel heads up Burnt Toast and makes a top brunch with his own recipes in Brixton and Sophie from gorgeous Art Deco spot Cafe Miami has her mum make the banana bread. It’s these stories that make my love of food what it is today and why the London food scene is so incredible. 9. I found Taste Film. 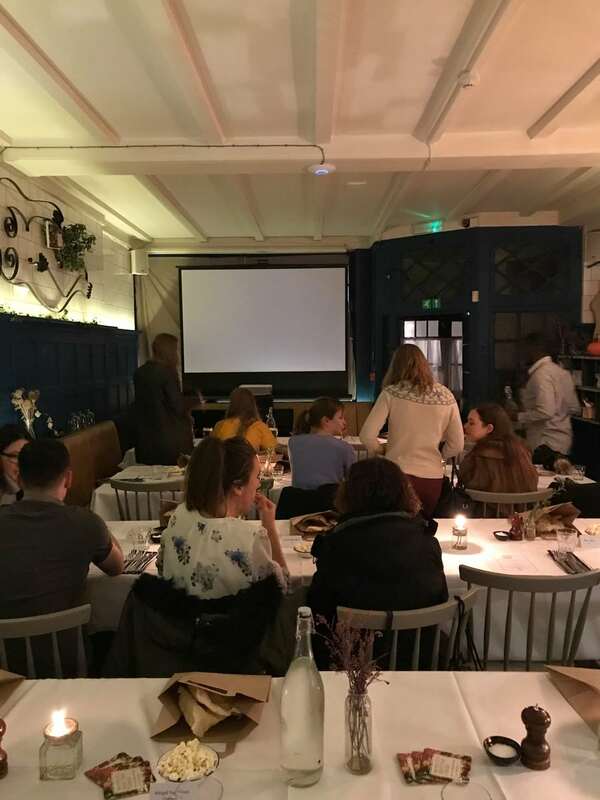 Back a few months ago a friend asked me to go to an experience where you watch a film and eat a menu based around it. It was called Taste Film and was one of the best foodie things that I did in 2017. The first time we went we watched Charlie and the Chocolate Factory and had edible wallpaper and Wonka bars. The second time we went we saw Bridget Jones and had Bridgets mum’s turkey curry buffet and her famous blue soup. Keep an eye on their listings here and make sure you go to one this year! 10. I made some life-long friends. Creating notsobasiclondon.com has given me an outlet to talk about, write down and be creative about the thing I love most in the whole …(debatably after my family of course, haha) … FOOD! What I didn’t expect to come from this was meeting the people that I now consider as life-long friends. There are too many people for me to name them all on here but they know who they are. We’ve eaten together, laughed a lot, got very drunk at times and they just need to know they have seriously made my year and I hope 2018 brings lots more laughter, food and memories.